Guns come and go. Trends and novelty keep some shooters chasing the newest, most Instagram-worthy gun of the year. A gun bought for a purpose may find itself up for adoption or sitting in the safe if that purpose goes away. Advancements in materials, design or cartridge may make others obsolete, or simply less appealing in the face of the fabulous new. But there is one class of gun that hardly any shooter can claim to have truly outgrown, or that they no longer have a purpose for it. The gun I am referring to is of course the humble .22 caliber pistol. Whether revolver or autoloader, the .22 is the one-true jack-of-all-trades pistol, a ballistic multi-tool capable of handling a host of roles with aplomb. In this article we’ll examine the .22 pistol as a class, investigate its strengths and weaknesses, and dismantle a few myths along the way. If you have a .22, good. If you don’t, this article will serve up plenty of strong consideration why you should consider adding one to your stable. The .22LR is a venerable and truly ubiquitous American rimfire cartridge, older even than our beloved .45 ACP. First conceived in the late 1880’s by combining the case of the .22 Long with the bullet of the .22 Extra Long, the .22 LR gained fame quickly as an ideal small-caliber rimfire cartridge suitable for many tasks. Fast forward several decades and you’d see it considered the defacto standard rimfire cartridge in handguns and rifles. Today, if you are buying a .22 rimfire, it will almost certainly be a .22 LR. Its cousins the .22 Short and .22 Long are still around, but you’ll really have to go out of your way to find them in most places. .22LR loads can be had in bewildering variety. It is the most bought cartridge in the U.S., certainly the cheapest and the most widely available. Wherever you are, rest assured you can get .22 LR. In some places you can even get it at the corner gas station. 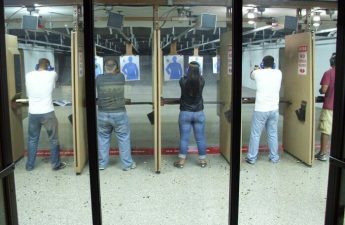 Many are the shooters who learned the ways of the gun on a .22 rifle or pistol. The negligible recoil, mild report and lack of blast mean it is ideal for easing young and old alike into shooting. The .22 LR is far from being just a humble training cartridge, as it has probably claimed more small game and varmints than any other. Despite its reputation as the meekest of “real” guns, it has certainly taken its share of human life, be it accidentally or in a gunfight. The sheer variety of .22 loads out there would make a detailed listing of its performance parameters exhaustive, but your nominal, plain-vanilla, lead .22 LR cartridge pushes an approximately 40 gr. round nose bullet at a leisurely 1,080 feet per second. The equally common high-velocity hollowpoints, typified by CCI’s excellent Mini-Mag line, are much quicker, launching a 40 gr. copper-plated bullet at a peppy 1,235 fps. Pretty sporty for an old rimfire! If you need it to get there really fast, you can step up to a hypervelocity hollowpoint; CCI’s classic Stinger hurls a lighter 32 gr. copper hollowpoint at a shrieking 1,640 feet per second. That’s just for starters. You can get specialty low-noise loads that are nearly as quiet as an air-rifle without a suppressor (Disclaimer: wear your ear-protection when shooting a .22 even with these low-noise loads. Be smart.) or even tiny, shotshell-like pest control loads, so called “rat shot” or “snake shot” that can handily dispatch smaller vermin and dangerous critters at close range. All of these loads have a place depending on what you want to need to do, and help make the .22 LR as versatile as it is. For casual plinking, obviously anything will suffice. For more serious applications like hunting or self-defense you must use more discretion in choosing a load for best results. I’ll discuss considerations for load selection in each activity’s respective section. As mentioned above, a .22 LR is at home in a variety of situations. It excels at hunting small-game, being one of the few cartridges available today that can reliably harvest smaller animals without obliterating both meat and hide. Modern .22 LR guns, when mated with an appropriate load, are reliable, capable of hair-splitting accuracy and extremely effective against game animals. The guns’ typical light weight makes for easy days afield, and less fatigue. Pest control is likewise a common task, as the .22 LR’s low risk of overpenetration and comparatively quiet report compared to any centerfire cartridge lessens risk when engaged around residences. Using specialty low-noise loads or adding a silencer can make even urban critter renewal a discrete activity. An optically sighted .22 handgun can allow a shooter to squeeze off a surgically accurate shot more easily, obviating the need for a larger firearm. For honing marksmanship fundamentals or basic firearms training, the .22 is peerless. Lacking the blast and recoil of larger calibers means the tame .22 is less likely to ingrain anticipatory flinching and other undesirable habits in the shooter. The fundamentals are fundamental for a reason, and those basic skills so readily refined with a .22 will translate to larger, more powerful guns. A like-model .22 “trainer” version of a service pistol or rifle can greatly increase shooter performance in training for a fraction of the cost. While you should not expect to master a major caliber firearm by only training with a .22 caliber equivalent, many shooters disregard out of hand how much improvement can be had practicing on a .22. The .22’s low cost is a major boon for any kind of high-volume shooting; an afternoon spent popping off 500 rounds will only cost you around $15.00 and a sore trigger finger. Every shooter, especially ones using exotic or magnum handguns, knows the twinge of grief watching 50 cents or a dollar fly away everytime they want to make a hole in something. An economy-grade .22 LR costs about two copper pennies in comparison. When it comes to self-defense, the .22 LR is definitely a valid choice, but one with a niche. The .22 LR is in no way an ideal cartridge for self-defense by the metrics of optimum performance against humans: The bullet is very light, comparatively fragile, and lacks penetration. It is, though, very light recoiling, easy to handle and easy to shoot well quickly. Some .22 loads penetrate significantly and show good weight retention, certainly enough to cause lethal wounds to an assailant. For anyone with weak or injured hands, arthritis, or another infirmity, charging a slide on an autoloader, or opening the cylinder on a revolver can be challenging, even impossible. It is the rare .22 pistol that is a bear to manipulate. 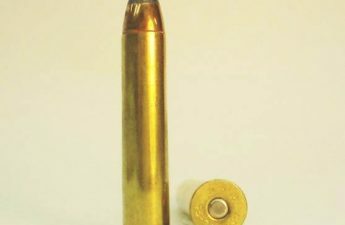 The little .22 is not and will never be the equal of larger cartridges for defense, but it is certainly very dangerous. For someone that has a hard time controlling, even holding, a heavier pistol, or just the marginally trained, a .22 makes great sense. Popular conception is that the .22 LR is a less reliable cartridge than others due to it being a rimfire. This is essentially true, but taking all factors in to consideration the difference in reliability in a modern setting is almost nil. I’ll explain: way, way back when rimfire ignition was found on more than just our little .22 LR, the advancement of centerfire ignition soon proved superior in all essential respects, and rimfire ignition started going the way of the wooly mammoth. Remember, this was over 100 years ago: cartridge manufacturing technology and quality control is quantum leaps ahead today compared to back then. Where most modern shooters encounter malfunctions with modern .22 handguns, especially semi-autos, is when using cheap-as-cheap-gets bulk pack fodder, or underpowered loads that won’t cycle the gun, especially when dirty or dry. Take a high-quality gun, and stoke it with good quality ammo and you’ll probably find the trusty .22 LR is about as reliable as your centerfire guns. In short, yes, technically rimfire ignition is inferior to centerfire ignition as a system, but if you care to compare apples to apples and use a good gun with good ammo, you’ll see that modern .22’s are reliable enough for any task, including self-defense. The other, lurid claim made about .22’s is that they are ideal for defense, owing to the little bullet’s supernatural ability to dole out damage thanks to a ricocheting behavior in the body. In essence, the legend goes something like this: the .22 LR is so small and light and fast that it will merely glance off of bones inside the body, bouncing to and fro carving a path of destruction that no surgeon can possibly trace and repair, inflicting injury far in excess of its slight nature. This has made it the choice of assassins and professional killers in the know the world ‘round. Good night Gracie, where to even begin on this. Ok, first, no. Just, no. The .22 LR does struggle to break, to say nothing of penetrate, heavy bone, but this does not equate to it turning around and going elsewhere in the body, especially several times. It might glance off bone, but .22’s lose velocity, ergo depth, very quickly in dense media. Second, there is the molecule of truth in this tale of lunacy, and it is that, yes, .22’s are commonly employed as close-in assassination tools, but this is due in part to the guns’ typically small size, and relatively quiet report. Easy to conceal, easy to suppress if desired, and quick to bring into action, a .22 makes a lot of sense for someone that needs to only get close enough to plug someone in the head. As mentioned above, the .22 is definitely dangerous, and a lethal threat, but not what is considered a good cartridge for self defense. It can serve very well in specific circumstances, but choosing it over more powerful options if you have the ability is a poor decision. Befitting a cartridge of its age and continuous popularity, there is nothing less than a mind-bending number of .22 LR handguns to choose from, with designs ranging from traditional general purpose pistols to highly specialized target shooting guns. There are quite a service caliber guns that can utilize either a .22 LR conversion kit for inexpensive practice and familiarization, and plenty of dedicated .22 LR pistols that closely simulate a service pistol in size, weight and control layout. For many, an all-purpose, full-size handgun is an ideal solution, able to perform well in nearly any situation the .22 LR is suited to. As far as action is concerned, either a revolver or semi-auto serve admirably, and should be chosen based on user preference and objective. A long barreled model will be a poor choice for carry, and a tiny .22 snubby is a pitiful hunting arm. As with all guns, quality counts. Whatever you choose should be reliable, durable and accurate enough to suit your needs. If you are already comfortable with another gun, chances are high you can find a .22 model that is very similar or even identical in size and operation. The small-bore clone can serve double-duty as a great practice gun, whatever else you may intend for it. It may seem odd to some, but quite a few .22 semi-autos feature under-barrel and receiver rails for mounting lights, lasers and optics. Far from being just a way to accessorize a range toy, any gun that is used for self-defense or hunting can benefit from the same equipment as their more powerful cousins. Don’t discount a “tactical” .22 just because you perceive it as boyish or silly. The tiny .22 LR has been accompanying shooters of all stripes for well over a century, and will likely be around for at least another 100 years. It is the most ubiquitous small-bore cartridge in the world and terrific for everything from training to hunting. No shooter should be without a .22 LR handgun in their collection, as no single gun offers what it can for such a low cost. I read a few years back that more people are killed by the .22 long rifle than by any other caliber (probably because more people have .22s than any other caliber). More people are killed with hand, feet and hammers than with “assault” rifles. 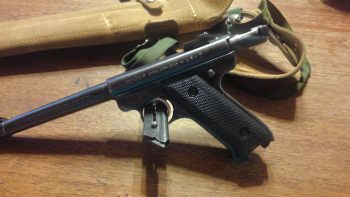 the 22 lr is a great round for handguns. cheap training with the 22 and it seems to work ok for cheap hunting for small game. My step grandpa used to pack a woodsman under his coat while deer hunting. He would use it ti finish off a wounded deer and it worked fine. As Far as the 9×19 is hated cause it is a metric designation and the fact that people had the 9mm shoved down thier throats like obamacare. Also the folks who carried the 9 mm lost 2 world wars doing so. 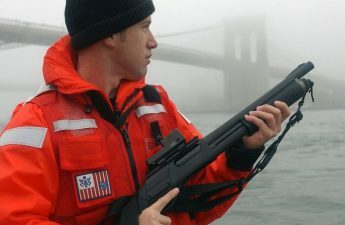 All firearms are limited to the extent of the skill of the person shooting it. Rimfire ammunition prices are usually low enough to afford a lot of practice. This factor alone makes them quite valuable. If I had to keep my family fed by my own hunting efforts, the rimfire rifle would be my most useful tool. Small game far more abundant and with no electricity for refrigeration, meat from larger animals would likely go to waste. Quiet, accurate, perfect for small game, lightweight rifles and pistols and the fact that you can carry 500 rounds of ammo easily make the .22 a no brainer. I haven’t seen $15 a brick in a LONG time but prices (by today’s standards) are still cheap at 4-5¢ a round. The .22 is definitely in my kit. Some time ago, I by chance asked a retired Secret Service agent about how lethal the .22 lr was and his answer was, ” 50% of the people killed in the U.S. die from being shot with .22.” the person probably won’t drop right away, but will be dead within 3 days or so. His suggestion, ” up close and personal, empty your weapon into the biggest mass ( no fancy target shooting, meaning no head shots ), the person’s chest. reload, call the cops and your lawyer and step back and cooperate with LEO’s. Was this retired SS agent drunk while offering “good advice”? Err, never mind..
Sure, I’m going to shoot my gun dry, then hope it’s been enough lol.. Better yet, if I’m going to carry a .22 for defensive use, I’m also going to have fired thousands of practice rounds to establish my skills and gun reliability, as well as employ some well defined tactics while using an extreme sub caliber weapon. Yes, head shots on a moving target will be well practiced! Like a First Love girlfriend, how can anyone ever retire and walk away from a lowly .22? I hate the round so much, I only have about six rifles and handguns that are chambered in this worthless caliber.. When the end of the world comes, and everyone that’s still alive is still in the game, the likely firearm that will be found in your dead hands, or across your lap as you are protecting what’s yours, will be a lowly .22RF. Deadly accurate for those willing to train and practice to bring out what this ole girl is capable of, head shots beyond 100 yards with deadly results are easily accomplished for the person who tries this task. Cheap ammo, low sound signature, deadly accurate! Get real people, don’t underestimate what’s going on here…..